• For MBA Oil & Gas / Power Management / Energy Trading / Logistics & Supply Chain Management /International Business : Students having minimum CAT score of 75 percentile or MAT score of 80 Percentile will be called directly for Group Discussion & Interview. Valid CMAT 2014 scores will also be accepted. • For MBA Port & Shipping Management / Aviation Management / Infrastructure Management/ Business Analytics :Students having minimum CAT score of 70 Percentile or MAT score of 75 Percentile will be exempted from UPES Management Entrance Test and will only be called for Group Discussion & Interview. 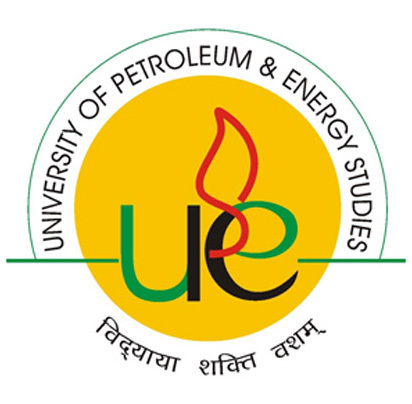 • UPES MET (Management Entrance Test) is an MBA entrance test organized by University of Petroleum and energy Studies - UPES, Dehradun for admission to its MBA programs. The aspirants applying for UPES-MET need to have minimum 50% marks in both Higher & Senior Secondary level (10th and 12th respectively) as well as in graduation from a recognized university. Candidates are requested to bring all original documents (Class 10th, 12, & Graduation) for the verification process along with Rs.1750 in cash for prospectus and application form along with one passport size photograph.